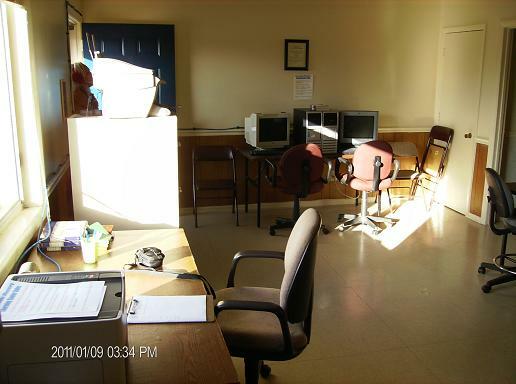 This is a picture of Lost Souls Ministry’s Computer & Gaming Trailer, located at the Tucker Street Apartments. Lost Souls Ministry desires for the residents & their children of the Tucker Street community to have the opportunities to excel and do great things. The Tucker Street’s hours are each Tuesday & Thursday from 4: PM – 6: PM, depending on Ministry & my health issues. Summer Hours are Tuesdays 2:pm to 4:pm & some Fridays 2:Pm to 4:Pm. We have 5 Wii Games and 3 hand held Nintendo games. The cost to use the trailer is to Prayer with Minister Boswell. We allow Social Networking, You Tube & Music Videos to those that are 16 years of age and above, ID required, because we care . This center belongs to God, He opened the door so it could be possible. We promise to give everyone respect and we expect respect to be given in return. We are also always in need of partners, volunteers, mentors, roll models and finances to operate this center and ministry as a whole. Please remember Lost Souls Ministry is a 501c3 Non-Profit and is held accountable through our Board of Directors and Certified Public Accountant……Bones in CHRIST…!!! !